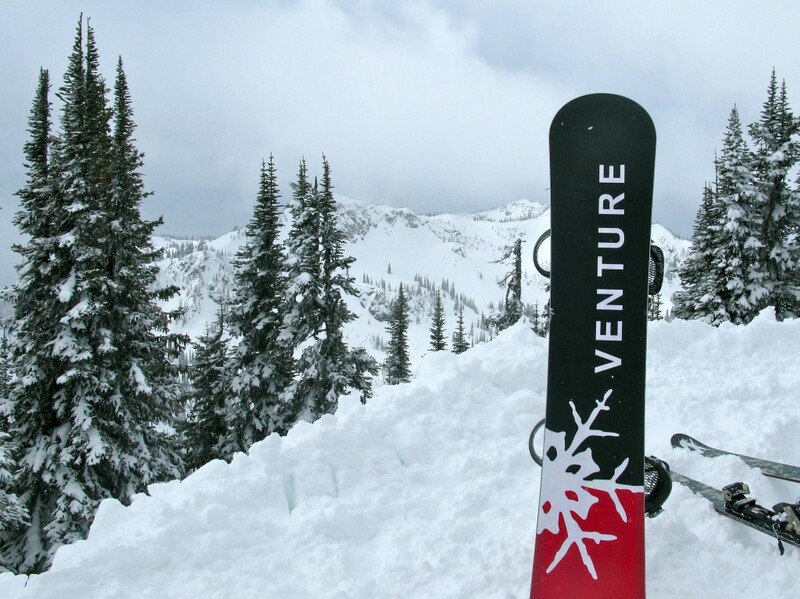 It took one glance at the Venture Euphoria to confirm something I’ve suspected for a while: Silverton Mountain is the Galapagos Islands of the snowboard world, where Venture Snowboards is free to evolve their products without the predatory forces found in the rest of the world. The Euphoria is designed 100% for a single purpose: riding pow. 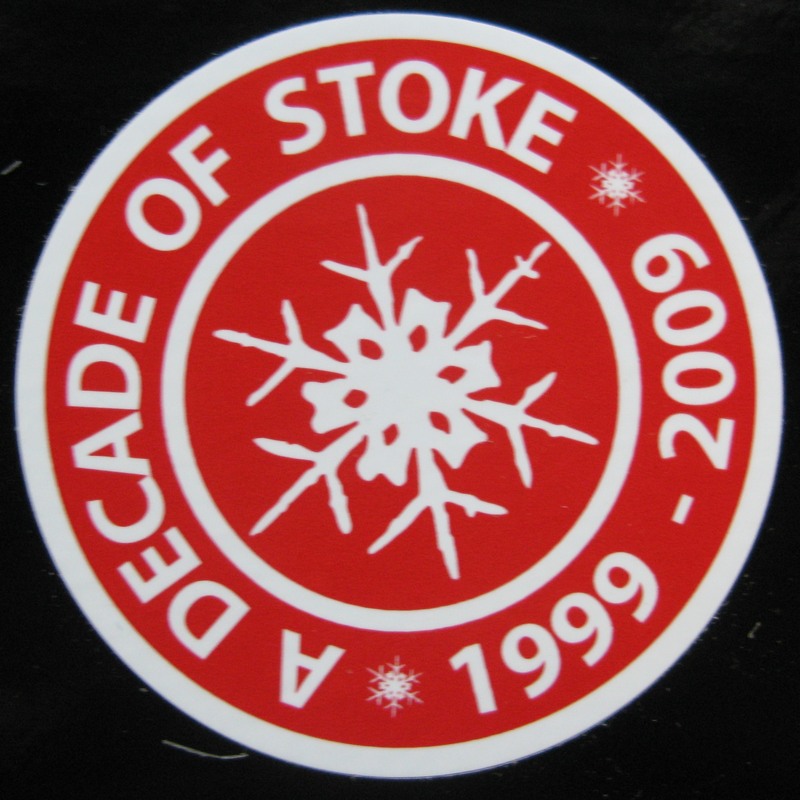 It’s completely free of the normal constraints almost every snowboard must follow. Even the most standard ways to describe a snowboard, things like “sidecut radius”, “taper”, and “running length” simply don’t apply. 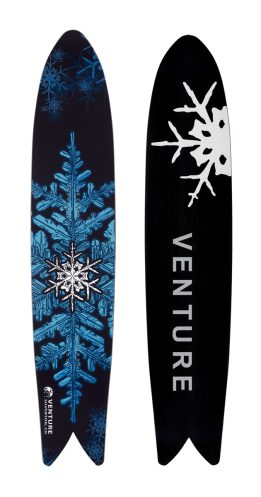 It’s clear why Venture calls the Euphoria a “pow surfer”. Not only does it echo a surfboard’s shape, the ride has a float and buoyancy that I’ve never felt on a snowboard before. But don’t let the surfy feel fool you – this board is still a hard charging ride and has more diversity than you might think. 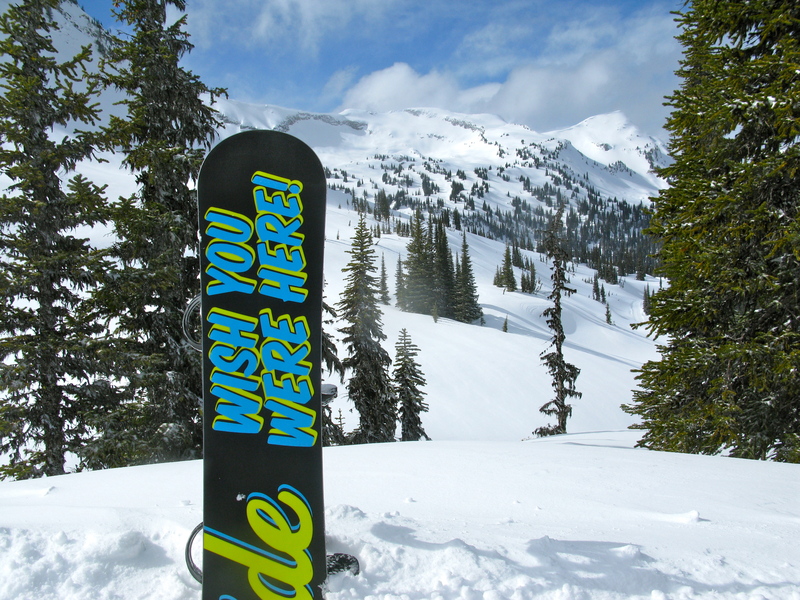 Our thoughts: Last spring, I was lucky enough to take the 2013 Euphoria out for four days of pow surfing at Monashee Powder Cats where I really got a chance to see what this board can do. During my time on the Euphoria, I rocketed down steep open faces, through tight trees, picked my way down a few cliff bands, and more. I even put it through the ultimate powder board test – deep snow and nearly flat slope. Off the snow, the Euphoria doesn’t look like a nimble ride. But once in powder, it’s amazing at how nimble this board is. The short tail and massively rockered nose stay out of your way in tight trees or steeps, allowing the board to whip around quickly. And if you need to, you can easily shift back on the tail and get almost the entire board out of the snow for quick maneuvering. The Euphoria feels relaxed and natural. It wants to make what seem like big, lazy turns across wide open faces (but in reality it’s deceivingly fast). There are three unique aspects of the board’s shape that make it such an amazing ride. The first is obvious: the reverse sidecut. This puts the most surface area in the middle of the board so you can center your weight. There’s really not much need to lean back even at slow speeds. It also puts the pivot point at the center of the board. Where a tapered board as a pivot point in the nose, causing the tail to slide out due to uneven pressure, the Euphoria remains equally solid under both feet. As you turn, this makes the edge dig into the snow causing the board to rail where others wash out. The second is the short swallow tail. I normally thing of short tails and swallows as a way to create float, but with the reverse sidecut, there’s already plenty of float going on. Instead, the little tail lets you get the bulk of the board out of the way when you need quick maneuvering in tight situations or slow speeds. Likewise, when you need fast edge-to-edge changes, the little tail is easy to whip around in scorpion-like turns. Because the tail straightens out, there’s still enough there to keep the ride solid at speed. And finally, the third aspect of the board’s shape is the long, slow rockered nose. I believe this, more than anything else, is what gives the Euphoria such float. Where most boards’ noses rise over a few inches at the tip, the Euphoria begins rising immediately in front of the binding and continues gradually all the way to the way through. There’s a lot of surface area in the rise, which means there’s more snow pushing up on the board to keep the nose from sinking. Some of my crew were joking that on the Euphoria, there’s so much float that you can’t tell if there’s 3 inches or 3 feet of fresh snow on the ground. Forget float. The Euphoria basically levitates you down the mountain. Now, the downside: It’s very clear that this is a purpose specific board. Outside of pow, the ride isn’t so great. The reverse sidecut means the board does not carve on pack at all. 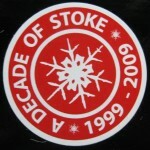 I didn’t ride it at a resort, but I did ride several cat tracks where the best I could do was skid from edge to edge. I could control the ride, but it definitely was not fun. Where things get outright nasty is when you blast over a ridge onto an exposed face with a hard crust. With no ability to carve a turn on pack, the situation can turn from euphoric to extremely sketchy in a second. The question I keep getting asked about this board is if it has any place in a resort. At first glance, you’d think no, but after riding the board for a few days I’m reconsidering. Here in the northwest, we get lots of big heavy spring dumps. There are days at Stevens Pass or Crystal Mountain where it will snow 24″ overnight, but because it’s heavy, many parts of the areas don’t get tracked out. Where others are sucking wind and fighting rear leg burn, the Euphoria would blast you through. Yes, you would have to deal with the sketchy skid across groomers and on and off the lift, but you could get so much more pow for your dollar that it may very well be worth it. Besides the Euphoria, I’ve riden Venture’s Storm, Zephyr, and Odin. Each of those boards are hard-charging mountain dominators. Because of the surfy feel, the Euphoria feels more graceful than powerful. It’s clearly still a Venture, though. The board survived days worth of getting thrown in and out of the cat and everything else a mountain can throw at it. At the end of the trip, it still looked like it was brand new. 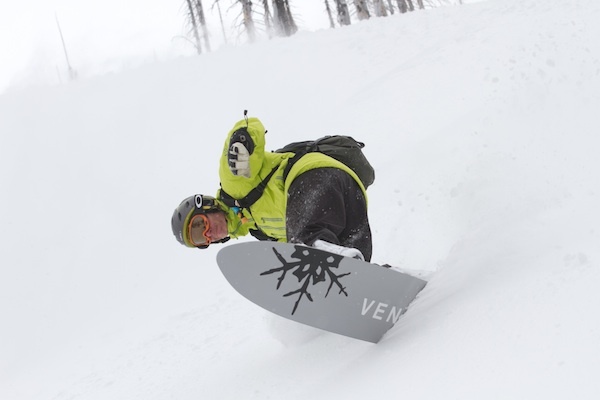 This is the result of Venture’s dedication to handcrafted boards made in their factory in Colorado and why they’re able to confidently offer twice the normal industry warranty. Summary: The Euphoria pretty much ends all debate on what board has the most float. If you end up with a Euphoria in your quiver, you probably won’t use it too much, but the days that you do ride it will be the best riding days of your life. Sizes and Options: The Euphoria comes in 156, 162, and 168 (I rode the 162 and at 6’1″ couldn’t imagine needing anything longer). Unlike other Venture models, there’s only one width option, 33cm, but given the nature of the board, width really shouldn’t be concern. All sizes are available as either a solid or split. More details on the sizing and specs are available on Venture’s website. Lib-Tech does it again. The company that kick-started the rocker revolution and brought magnetraction to the world has a fresh take on the powder board. The Birdman takes a normal board and wraps it with a massive powder nose. The goal is to create a board with unmatched float that still holds an edge traversing across nasty stuff on the way to the goods. A quick glance at the specs of the Birdman give a hint that something’s going on. The massive 170 has the same contact length and sidecut radius as the Attack Banana 156. It seems that Lib has taken an attack banana-lik design and mounted a massive nose on the board. The nose gives you float when you’re in powder, and the attack banana design gives you control when you’re not. Our thoughts: Can’t wait to give one a try. One of the big complaints we have with highly tapered pow boards is that they don’t track well on edges. You don’t want to traverse an ice-field above a big cliff on a tapered board. The Birdman solves this problem by keeping the edging of a normal board. And we can only imagine what it’s like to open up in a big powder field on a 170 or 180. Camber: The Birdman has Lib’s BTX, which is their reverse-camber “banana” design plus magnetraction. Shape: With a nose like that, it’s clearly directional. Sizes and Options: You’ve got two choices – massive and gigantic. The Birdman comes in 170 and 180 lengths, both are wide with 26 and 26.5 waste widths. 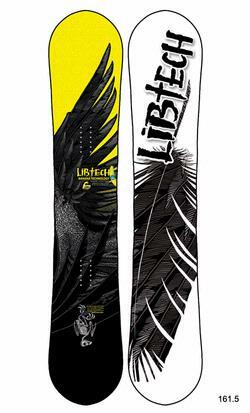 Lib-Tech puts a lot of design innovation into the signature models for their resident mad-man Travis Rice. Besides offering ice-gripping magnetraction and a choice of camber options (traditional camber or Lib’s C2BTX), they also offer park-focused blunt nose shapes and powder-specific pointy shapes. We care about powder, so we’re focused on the pointy shaped options. With no taper and a minimal set-back, this board relies on the old-standby’s of speed and rear leg burn to keep the nose floating. But if you’re like Mr. Rice and spend almost as much time riding fakie as normal even on powder days, taper would only get in the way. And with magnetraction, you aren’t going to be hating life if you stumble on some hard-pack on your way to the deep stash. 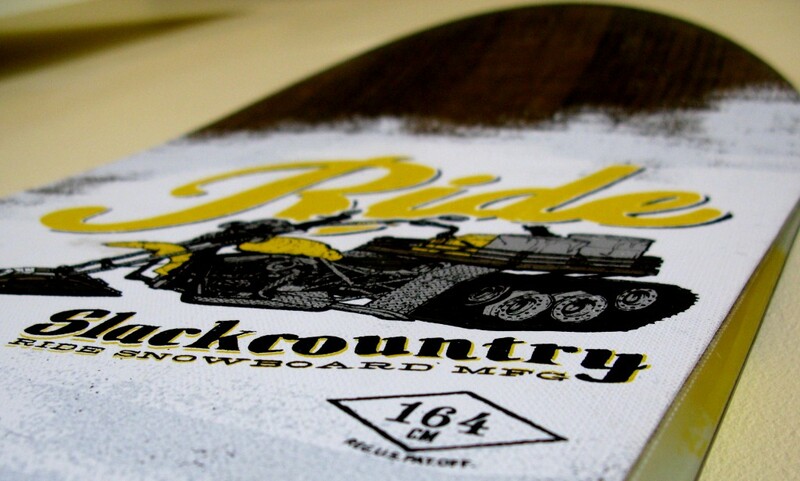 Our thoughts: This isn’t the board that you’re going to take on a back-country trip. It’s designed for the rider who wants to rip all conditions; not just powder. We’re purists and aren’t looking for any sacrifice in the white room, but it we could only have one board, this would make the short list. 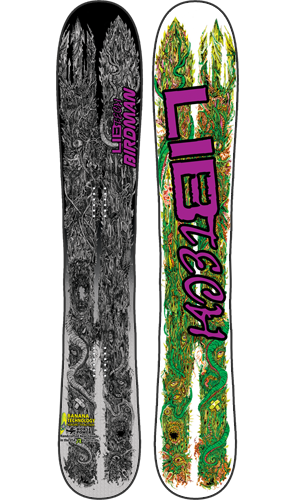 Camber: Available with Lib’s C2BTX, which is rocker between the bindings and camber underneath them. This gives the fun of rocker with the powder of camber. Shape: Directional twin-tip with a slight set-back. Sizes and Options: The powder tip comes in a 161.5 and 164.5, as well as a blunt tip shape in 153 and 157. You choose between camber or C2BTX. Rome is packing a lot of technology and options into the 2010 Notch. The board has S camber, similar to the Fish, to give you traditional camber benefits when carving with the added bonus of lifting up the nose when you flex into a turn. They’ve beveled the edges 1 degree to keep them from snagging, added ultralight bamboo to reduce weight and the board’s environmental impact. What else? Our thougths: This board has a lot packed into it. With all of this technology, it’s clear that Rome has put a lot of work into it. What’s less clear is what this board is supposed to do. 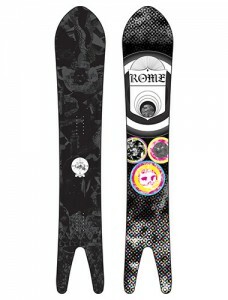 Rome says this board is great for powder, freeride, and corduroy. Either they’ve built the perfect no sacrifice all-around board or they’ve made a board that tries too many things and but doesn’t succeed and any one. The jury is still out. 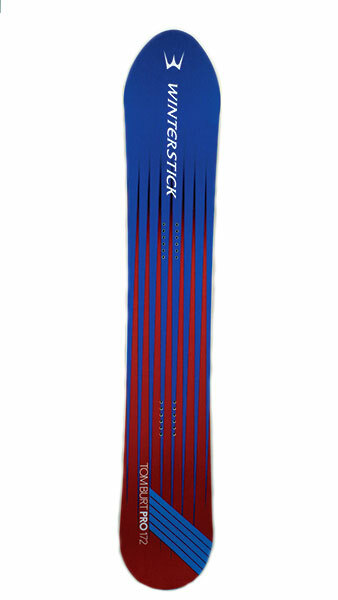 Camber: The 2010 Rome Notch has S-camber, with rocker from the front binding to the tip and traditional negative camber between the bindings. Shape: The board has a directional taper shape, and is available with a swallow tail in certain sizes. Sizes and options: You can get your Rome notch in a 155, 158, 162, 168, 164 swallow, and 172 swallow.